It is by a favourite author of mine, Lydia Monks. Her book Aaaarrggh, Spider! is just hilarious. The lenghts that the poor spider has to go to in order to be like is just brilliant. I Wish I Were a Dog is another great read. 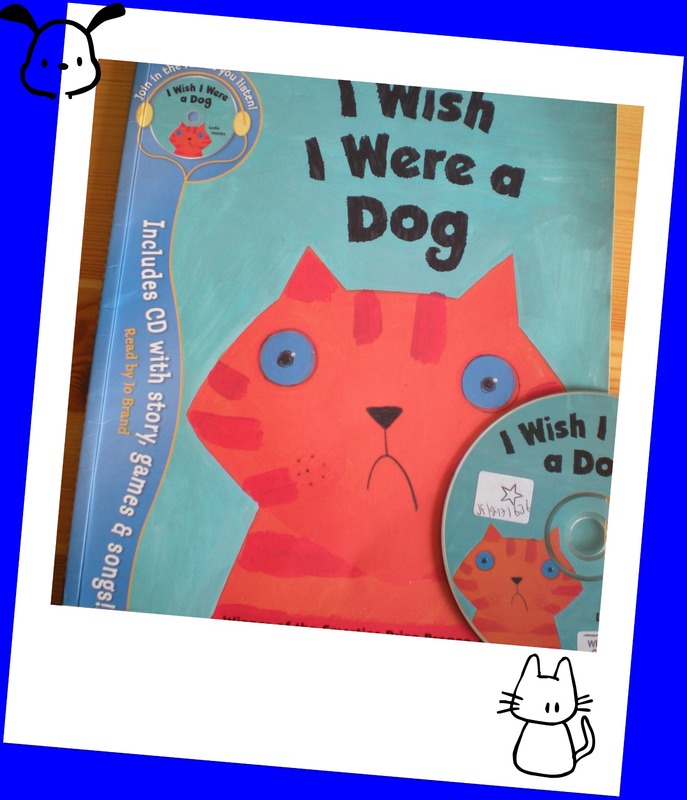 The main character, Kitty, wishes she was a dog because dog can do such cool things! Can you think of any?! What I really love about this book is the amount of conversation it could generate with a child. What can dogs do that cats can’t ? What can cat do that dogs can’t? Why was the cat feeling like this? What ways could you cheer her up? It also came with an CD which contains over 30min of audio including story telling ( I can give my voice a rest with this 😉 ), songs and audio games. At £7.99 that sounds like a great bargain to me. 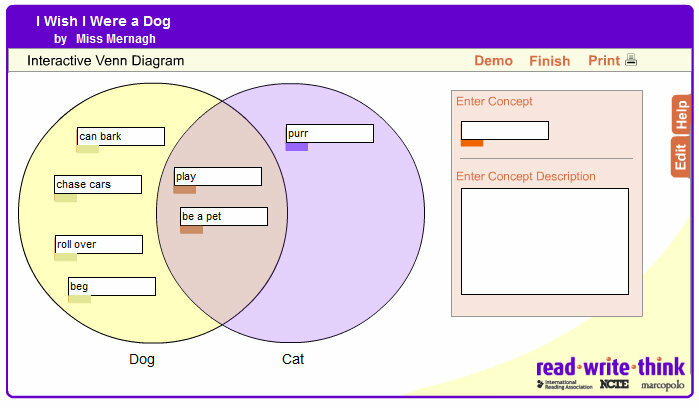 In a classroom you could create a Venn diagram to explore animal traits. I found this fun website that allows you to create one on your computer or whiteboard. I think this story is just perfect for creative writing class. 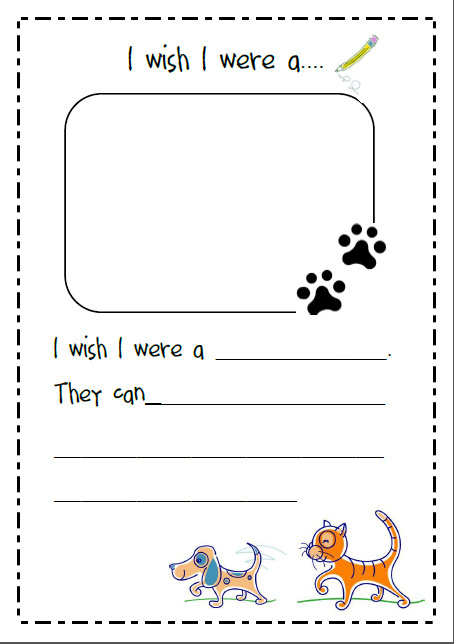 In eager anticipation of heading back to school on Wednesday I decided to make a cute template. Voila! Cute or what?! As it is the beginning of the year I have been kind and not created too many lines to write on. I think this will be a fun activity to ease children back into story writing and to re-ignite their imaginations. So, what animal would you be?! Please leave a comment letting me know! I would be a butterfly ’cause they are so beautiful, delicate and dine on sweet, sweet nectar (Okay, I have a bit of a sweet tooth! ).